I have a teaching colleague to thank for this idea. He currently teaches all of our Algebra I students, mostly freshmen. We have noticed a struggle-disengagement cycles that is self-repeating and driven by inertia. The student begins to struggle, which leads to disengagement, which leads to more struggling, which leads to… you get the idea. However, my colleague created an art activity that might be a game-changer for some of these students. It goes like this. 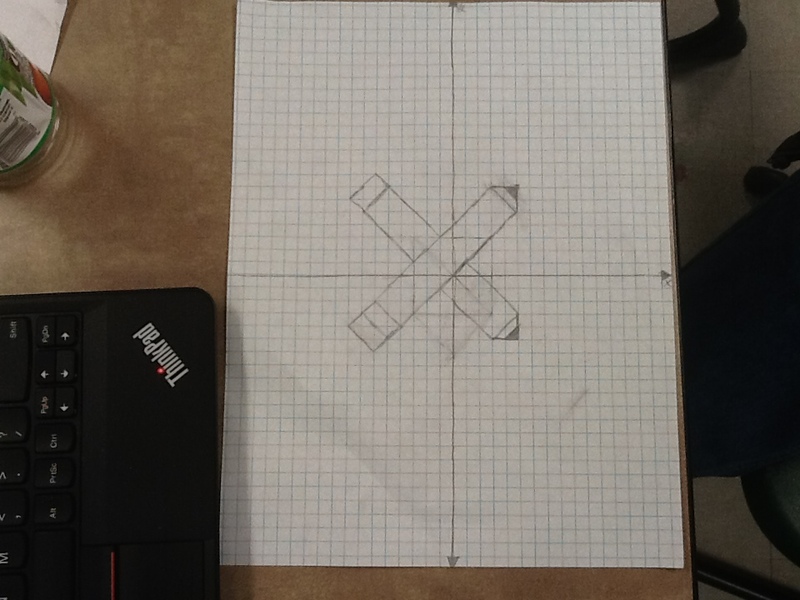 First, create an image on a piece of graph paper. Whatever you want. Could be your name or a picture or whatever. But there are conditions. It must include at least 10 line segments. Endpoints must have integer coordinates. It must have one pair of parallel lines. It must have at least one pair of perpendicular lines. 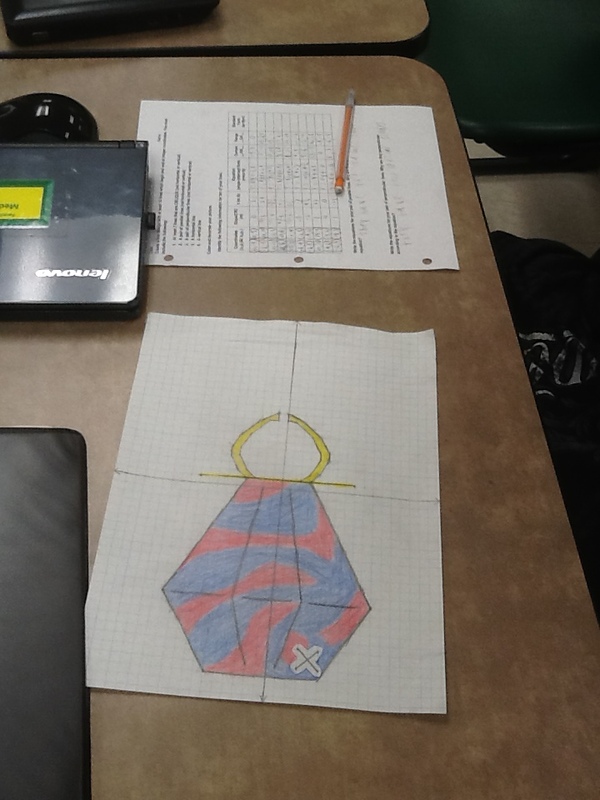 After the pictures were drawn and colored, then the students picked 10 line segments and found coordinates of the endpoints, slope, function rules in standard and slope-intercept form. Doing all of those things ten times over is as good as a practice worksheet, except better! Better because, you activated the right side of the brain for those who need it (which is a healthy portion of our students). There is a greatly reduced temptation to cheat or shortcut because the products are unique (and the more competitive students will see to it that their picture isn’t copied). Plus, like a good billiards player, you are always thinking two shots ahead. By tossing in the parallel and perpendicular pieces, you are running the risk that the student might begin to make some conjectures about the look of lines and their slopes. How much more Algebra could this student be learning now?